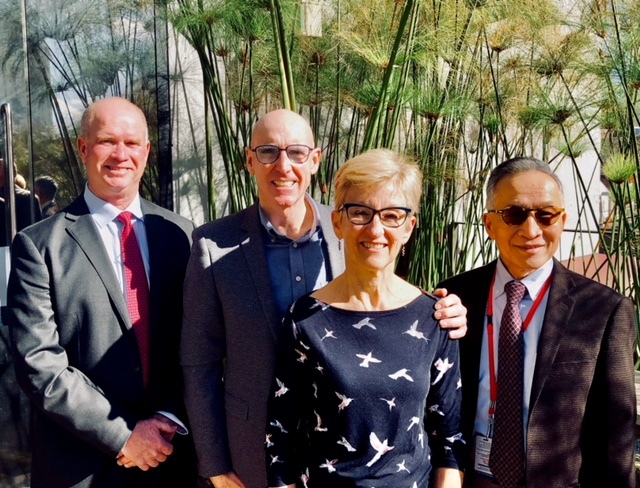 Arrow is pleased to announce that Vicki and Michael Quigley have donated $1 million to Arrow to support the research work of Professor David Ma, Department of Haematology and Bone Marrow Transplant, St Vincent’s Hospital, Sydney. When Arrow was established 30 years ago, bone marrow transplants were only suitable for a limited numbers of patients diagnosed with Leukaemia. Today, thanks to advances in medical research, more patients with potentially fatal diseases have a much greater chance of cure. In 2010, Mr Quigley also donated $2 million, being his first year’s salary as the CEO of NBN Co, to Neuroscience Research Australia to support research into neurological diseases. Prof. David Ma said “It is an honour that the Quigley family is providing this generous donation to support my research aiming to improve the life of patients diagnosed with leukaemia and other life-threatening diseases that are potentially treatable with BM stem cell transplantation.